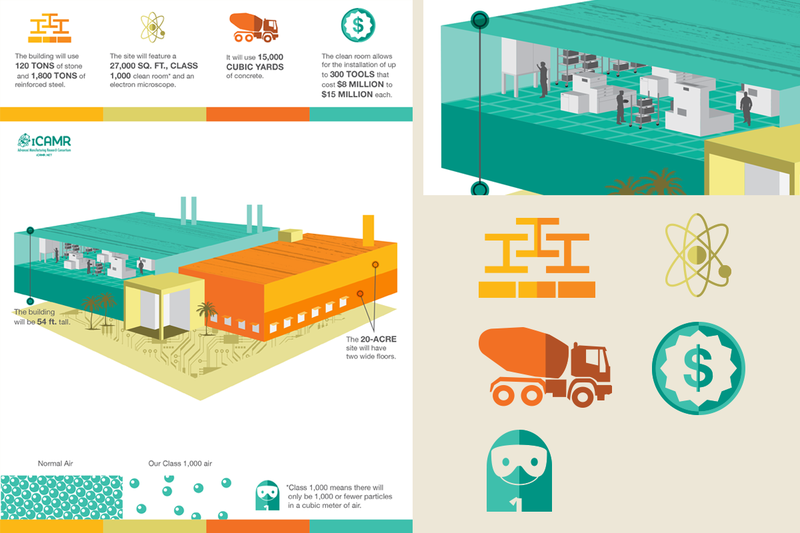 Project 1: Create an infographic set to accompany a stylized illustration of iCAMR’s new state-of-the-art manufacturing facility. 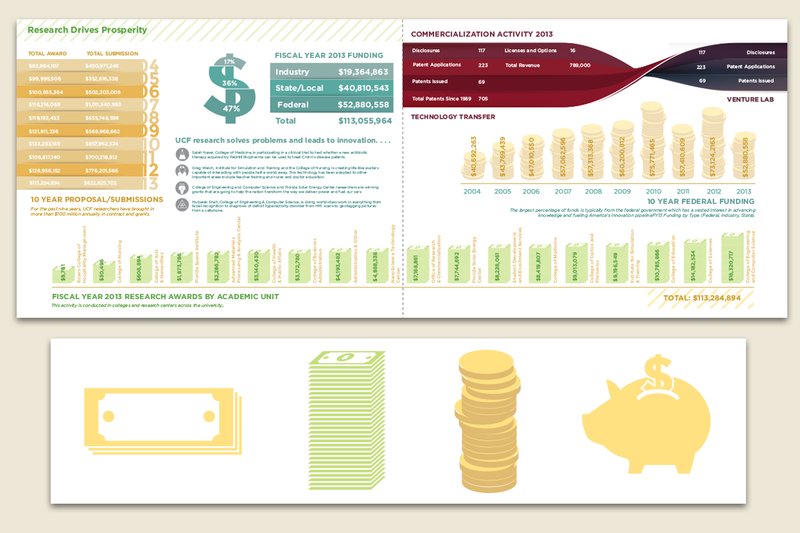 Project 2: Create an infographic spread for the UCF 2014 Annual Report. Project 1: Taking scientific information and turning it into vibrant design. We also learned about clean room manufacturing. Project 2: UCF has wonderful, detailed brand style guides. They made it very easy to create on-brand graphics.